Lip Seals or Radial shaft seals are used between rotating and stationary machine components or between two components in relative motion. Lip seals are used in a multitude of applications. The radial load exerted by the lip seal must be sufficient to retain the oil or grease, but not so high that excessive friction losses or wear occurs. We are presenting a quality approved spectrum of Double Lip Oil Seal in the market. Made of nitrile rubber . Used in various types of plumber blocks .Can be fabricated in any required size of plumber block. We are engaged in offering Rubber Lip Seal. Our reputed entity is engaged in supplying Rubber Lip Seal. 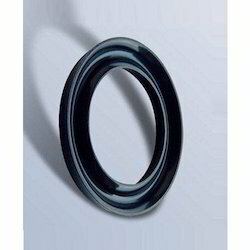 We " Polymer Marketing Corporation " are leading supplier of Leap Seals and providing to our customer in best quality. 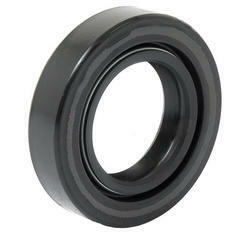 With a firm commitment to quality, we are involved in offering a wide ambit of Ring Lip Seals. We are highly acclaimed amongst the clients for offering a quality tested array of Pump Lip Seal Kit. The Pump Seal Kit we offer is widely demanded by the clients for their hassle free performance. Moreover, sturdily constructed these products are suitable.our company is engaged in Trading and supplying. Pasupati Sales & Services Pvt. Ltd. Lip seals for Courtay Tablet compression machines.